← Pop Quiz 2 Winners! 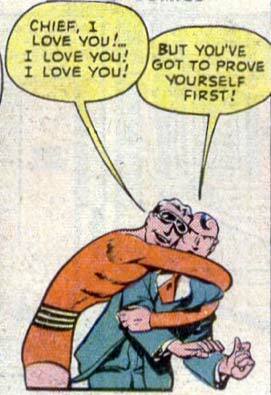 As long as ol’ Plastic Man doesn’t change himself to become the police chief’s clothes. Yeah, for those unfamiliar with this one, that’s Barda trying to choke the life out of him. That’s right, Plas. The Chief doesn’t give his heart so easily. You have to prove you’re going to stick around!